Well, hello my darlings! Welcome back, I hope you had a wonderful holiday and not too many of you died to become a Tale of Black Friday. I do hope some of you participated in Small Business Saturday – and remember, you can keep that up just by buying books because authors are small businesses. Even if our books are sold on big retailers, we ourselves are small businesses. Like me, my royalties pay my bills, allow me to hire my editor, Cassie, who is an independent editor, and allows me to pay my proof reader, and to pay my cover artist. See? Me plus three people, that’s a small business. Before I dive into the crux of this post I’d like to say “Welcome!” to our newest Scribe, Brian O’conor, and tell him what a fantastic job he did with his first post. If you have read it yet, I hope you’ll pop over and read it (after mine of course). So, I thought, this first week of December, it would be good to talk about what to do now that NaNoWriMo is over. You won NaNoWriMo, now what? Or maybe, you failed at NaNoWrimo, now what? Or maybe still, you were too scared or intimidated to try to attempt NaNoWriMo, now what? 1. You won NaNoWriMo, now what? That all depends. Is you book finished? I mean really? Most 50k word books are middle grade or lower – unless your goal was to write a Novella and in that case you are done. Novels (YA and older) really tend to be 75k and higher, so if you’re finished at 50k, make sure you’re in the right age group. If 50k isn’t a reasonable word count, the answer to that question is: KEEP GOING! Keep up the momentum and habits that got you this far and finish. If you keep up your pace, you should be done before the holiday and it’ll be like a wonderful present for yourself. If you started your book before Nov 1st and you really are really done for real, then your next step is to take a break. Yes. Close the document (AFTER SAVING AND BACKING IT UP AT LEAST 2 DIFFERENT WAYS) and walk away from it for at least a week. Really, two weeks would be better, or even a month is good. Then you can come back to it with pen and paper and read the whole thing over and start fixing it. What you just finished was a rough draft, it is not ready for submission or publication by any means, I don’t care if you’re a 10x NYT Best Seller. That puppy needs revision. Probably more than one. Some writers start each revision with different goals in mind. One revision will be to look for plot holes. The next, typos, and so on and so on. It’s not uncommon to need 3-5 revisions before you give it to someone else to help revise, like an editor or a beta/critique partner. 2. You failed at NaNoWrimo, now what? Never fear! Did you write something? Good! That’s the real goal of Nano – to get words down you might not have gotten without the momentum of NaNo. Keep going, keep writing. That community of people you found through NaNo is still out there, people are still writing, still need sprinting partners, still need all the support you need, too. You’re not alone and there’s no shame in not winning NaNo. It’s not for everyone. Not everyone can fast draft and sometimes you don’t know if you can until you try. I do highly recommend Camp NaNo in the summer. In Camp NaNo you pick your own writing goal, so if 50k was too much for you, you could make a goal of 35k or 25k or even just 15k. Sometimes you just need a win, sometimes you need to build up your ability to fast draft. When I first started out I just asked myself to write 1k words a day five days a week. That’s not bad with a full time job. That was 5k a week, which was about a chapter a week. So in 20 weeks I had a full book written. That’s a book in 5 months – with weekends off! That’s not bad at all. Then I built up from there and now I can win NaNo and then some when I put my mind to it. It’s just like any thing else that you need to practice at to get better, stronger, faster. Typing, running, weight lifting, reading. The more you do it the faster you’ll become. Or not. We’re all different. 3. You were too scared or intimidated to try to attempt NaNoWriMo, now what? That’s perfectly okay. Like I said in #2, not everyone can fast draft, but you won’t know until you try and maybe 50k was too much for you to try the first time. So, again, I recommend Camp NaNo and set your own goal for the month. 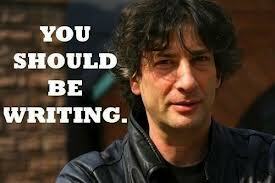 But, maybe you’re just itching to try writing this month, or next, and don’t want to wait that long. Good! Don’t wait! Set out a goal. Maybe just 500 words a day. If you write every day, don’t take weekends off, you’ll write 15,500 words in December. Or, if you think you can do 1k, you’ll get 31,000 words. THAT’S HUGE! Then you’ve started a habit and maybe next month you can convince yourself you could do 1.5k a day and in January you’ll write an additional 46,500 words, add that to your 31k from December and you’ll have 77,500 words. And you know what? That’s a novel, yo! It doesn’t matter if you won, if you fell short, or if you were too intimidated to do NaNo. All that matters is you don’t give yourself excuses to stop now. Keep going. Even 100 words a day is more than zero and you’ll never write that book you’ve always wanted to write if you never try. And remember, that first draft is crap. Doesn’t matter who you are or how much practice you have at it or how good it might actually be, compared to what it will be when you polish and revise it is crap, but that’s okay. You need the clay to mold into that really awesome sculpture. You need something to start with. Keep going. And for a little shameless self-promotion. I actually finished the first Matilda Kavanagh Novel, Wytchcraft, during Nano ’12. 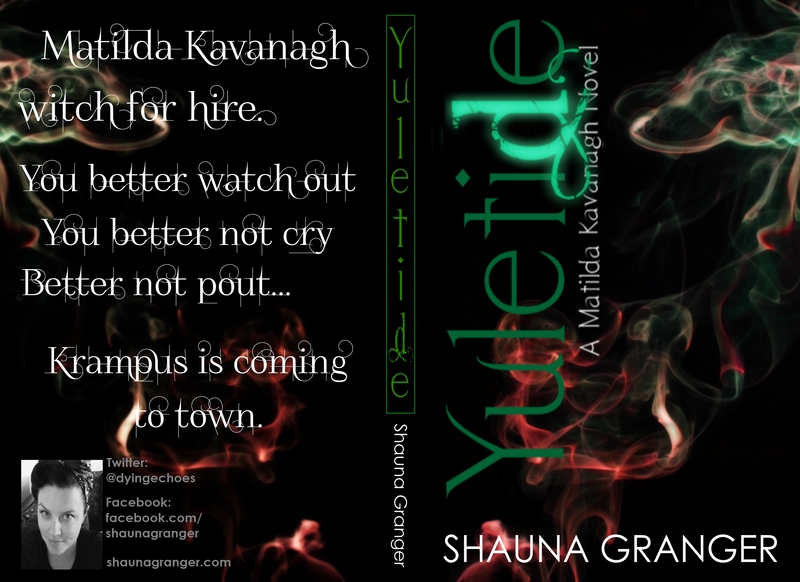 And now, the third book in the series, Yuletide is up for pre-order! If you’d like a non-traditional holiday story for a little escape, pre-order your copy now! Great post with good advice! Thank you! I’m glad you thought so! 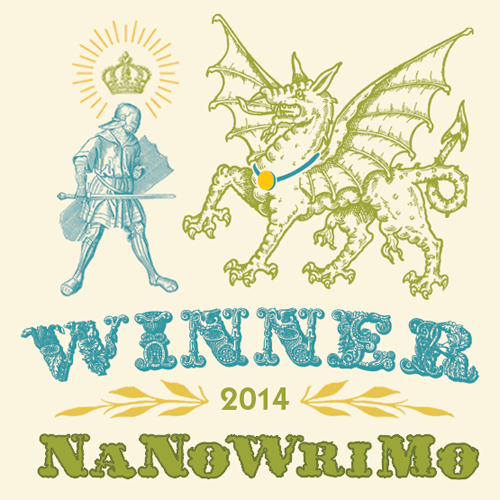 I’m up on the Spellbound Scribes’ Blog today talking about what comes after NaNoWriMo.